Trumpets, Atonement and Tabernacles …what Does it All Mean? If you study Jewish culture and tradition, you are likely aware that we’re in the midst of the fall feasts of Israel. There are 7 major feasts, originally prescribed in Scripture, but lived out in either secular context or rabbinic context by most Jews. The first three (Passover, Feast of Unleavened Bread and Feast of First Fruits) are bunched tightly together in the spring, Pentecost follows 50 days later, then three more feasts (Feasts of Trumpets, Yom Kippur/Day of Atonement and Feast of Tabernacles) are bunched tightly together in the fall. Jewish feasts and festivals follow a lunar calendar, so do not occur on the same day each year on our Gregorian calendar. Also, days on the Hebrew calendar begin at sundown. This year, the Feast of Trumpets commenced at sundown on September 10. It is also known as Rosh Hashanah, the Jewish civil new year, so is marked by celebration and great joy. That feast is followed by 10 “days of awe” when Jews fast, pray, examine their lives, repent, forgive and prepare for Yom Kippur, the Day of Atonement. It is a very somber day for Jews, as many wail in repentance, attempting to insure their names are written in the Book of Life. This year, Yom Kippur occurred between sundown on September 18 and sundown September 19…just a few days ago! Next up is the Feast of Tabernacles, which is a 7-day feast, beginning on September 23 this year. But what does it all mean? Well, on more than one occasion we have discussed each feast and provided Biblical evidence that Jesus is the fulfillment. (Here and here, for example) Today, we’ll go a different direction. Among believers, there are different ideas about Jesus’ fulfillment of the feasts and what it means for us as Christians. Some of those ideas are just plain wrong. For example, some say, because the Jews rejected Jesus, the church has replaced Israel and Jesus’ fulfillment of the feasts now applies to the church. WRONG! God has not rejected the Jews (read Romans 11:1-2), and the feasts still apply to Israel. Trumpets are mentioned many times in Scripture, not simply at the rapture. Thus, the Feast of Trumpets cannot be limited simply a signal of the rapture. The feasts are Jewish and apply to Israel…not Christians! God did not implement the feasts as a “Christian thing,” but rather a “Jewish thing!” Thus, it is highly unlikely the rapture will happen on the Feast of Trumpets! At the rapture, the trumpet will sound from heaven, but only believers will hear it as we are snatched rapidly from this earth. However, another trumpet will sound at the Second Coming of Jesus…when He physically returns to earth, stepping foot on the Mount of Olives at the end of the Tribulation. Revelation tells us that we (“saints,” believers) will be with Him. Thus, that trumpet is meant for unbelieving Jews, and WILL occur on the Feast of Trumpets, as Jesus fulfills that feast! Now, one last thing. In Numbers 10, God commanded Moses to make 2 silver trumpets, then gave him instructions for using them. Trumpets were sounded to gather and assemble the congregation. That’s what the trumpets will do for both Christians at the rapture and Jews at the Second Coming! But why two trumpets…and why silver? The Old Testament (Isaiah 43:8-13) indicates Israel will gather the nations together and will be a witness. The New Testament (Acts 1:6-8) identifies Christians (the church) as a witness. 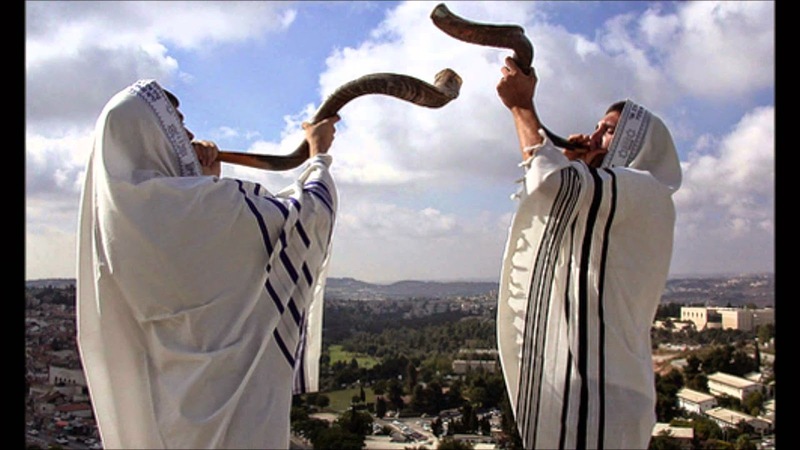 Thus, two trumpets…Israel and the church…are blown to warn the world of what is to come. Interestingly, silver is precious, but not perfect. Such is the case with Israel and with the church….precious in God’s sight, though not perfect! 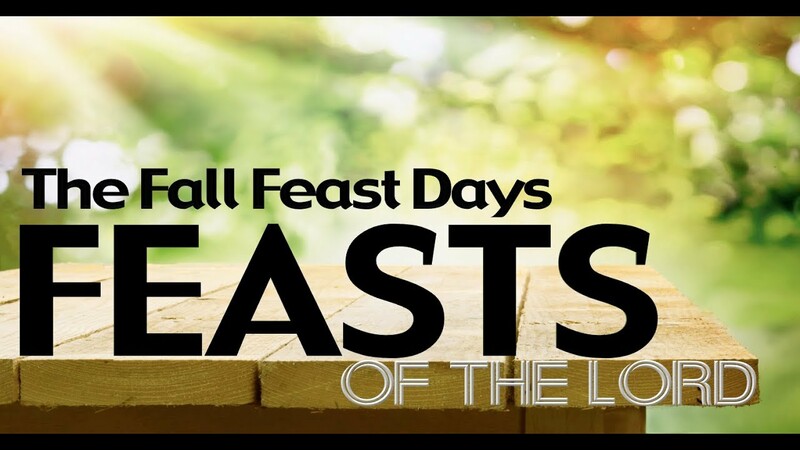 There is so much more to the feasts, the trumpets and all the other symbolism God has given us in His Word to help us understand the days and times in which we live! Over the past few days, we have focused on world events that assure us we are living in the last days. Isn’t it good to know that, despite what might seem “scary” to some, God has laid out His plan for us and it cannot be thwarted! We are safe in the plans of the One who fulfills those feasts! I hope you are encouraged by these things! Check back tomorrow, as we’ll talk more about the Feast of Tabernacles, which is quickly approaching on the Hebrew calendar!